Our speaker, Peter Gosnell, is member of the AHS, The South London Branch of the BHI and the NAWCC. 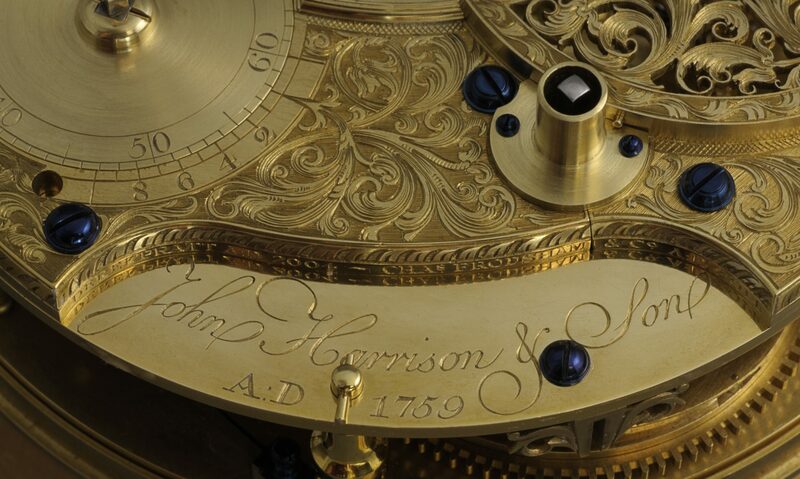 Peter’s specialist area of study is early industrialised clockmaking in England and America and he gave the first Beresford Hutchinson Commemorative Lecture to the South London Branch in 2007 on the British United Clock Company (BUCC hereafter). 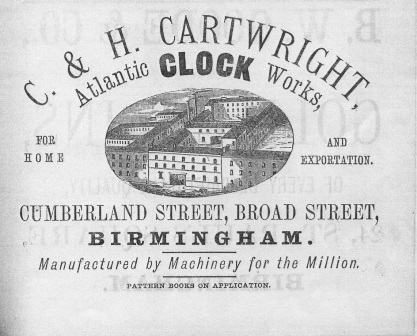 At just about the same time as this lecture Peter stumbled across an article, dated 1875, that described clock manufacture at Charles & Henry Cartwright’s Atlantic Clock Works in Birmingham. 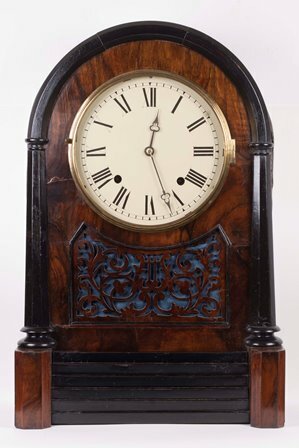 In tonight’s talk Peter will present his findings on the activities of C & H Cartwright, show their range of clocks and movements and will challenge the commonly held opinion that the BUCC were the first company to manufacture cheap factory-made clocks in this country. Peter will also offer an explanation as to why this important part of our horological heritage has remained hidden for so long. Peter bought his first verge watch aged 17 years having been introduced to things horological by his father who had a good collection of the better sort of English clocks. 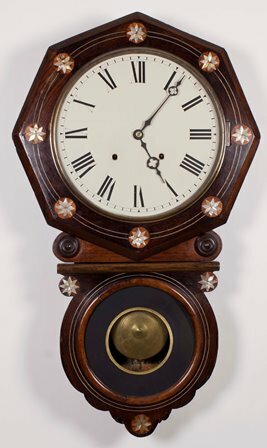 Peter has attended practical clock and watch repair classes at Hackney College as well as with the late Beresford Hutchinson and Francis Brodie. Peter was a volunteer member of staff at the Old Royal Observatory Greenwich, under Jonathan Betts and was one of the team that wound John Harrison’s H1, H2 and H3. Peter has also been a member of the Research Committee of the NAWCC under the Chairmanship of Snowden Taylor. Just recently Peter has donated his representative collection of BUCC products as well as relevant research papers to the British Museum for future researchers, with this collection now being known as the ‘Peter Gosnell Collection’. Peter lives in Greenwich and is now a pro-active grandparent with his wife Dinah. During his working life, Peter was employed by the University of the Arts London where he eventually taught practical courses in historical photographic processes. Before that he ran his own restoration joinery and furniture making business. For the future Peter intends to carry on his own Fine Art Photography practice, write horological articles and give horological talks on subject areas he has studied.